Ahmad, M., M.A. Wadaan, M. Farooq, M.H. Daghestani and A.S. Sami, 2013. Effectiveness of zinc in modulating perinatal effects of arsenic on the teratological effects in mice offspring. Biol. Res., 46: 131-138. Ahmad, M., 2013. effects of curcumin against lithium-pilocarpine induced status epilepticus, cognitive dysfunction and oxidative stress in young rats. Saudi J. Biol. Sci., 20: 155-162. Abu-Taweel, G., J.S. Ajarem and M. Ahmad, 2013. Protective effect of curcumin on anxiety, learning capability, neuromuscular activities, brain neurotransmitters and oxidative stress enzymes in cadmium intoxicated mice. J. Behav. Brain Sci., 3: 74-84. Farooq, M., A. Al Faham, M. Ahmad, A.S. Sami and M.A. Wadaan, 2012. Teratogenic profile of valproic acid and newly synthesized derivatives in zebrafish embryos. Int. J. Agric. Biol., 14: 894-900. Abu-Taweel, G.M., J.S. Ajarem and M. Ahmad, 2012. Neurobehavioral toxic effects of perinatal oral exposure to aluminum on the developmental motor reflexes, learning, memory and brain neurotransmitters of mice offspring. Pharmacol. Biochem. Behav., 101: 49-56. Ajarem, J.S., E. Safar and M. Ahmad, 2011. Effect of ethanol and thermal stresses on the social behaviour of male mice. Asian J. Biol. Sci., 4: 362-368. Ahmad, M., Y. Elnakady, M. Farooq and M. Wadaan, 2011. Lithium induced toxicity in rats: Blood serum chemistry, antioxidative enzymes in red blood cells and histopathological studies. Biol. Pharm. Bull., 34: 272-277. Ahmad, M., 2011. Epilepsy: Stigma and management. Curr. Res. Neurosci., 1: 1-14. Ajarem, J.S., Q.M. Abu-Taweel and M. Ahmad, 2009. Effect of perinatal exposure to green tea extract on behaviour of mice offspring. Indian J. Applied Pure Biol., 24: 329-336. Tariq, M., M. Ahmad, K.A. Moutaery and S.A. Deeb, 2008. Pentoxifylline ameliorates lithium-pilocarpine induded status epilepticus in young rats. Epilepsy Behav., 12: 354-365. Abanmi, A., S. Bakheshwain, N.E. Khizzi, A.R. Zouman and A.R. Hantirah et al., 2008. Characteristics of superficial fungal infections in the Riyadh region of Saudi Arabia. Int. J. Dermatol., 47: 229-235. Ajarem, J.S., Q.M. Abu-Taweel and M. Ahmad, 2003. Effect of postnatal lead exposure on the development and behavior of mice offspring. Saudi J. Biol. Sci., 10: 1-14. Ajarem, J.S., A.H.A. Al-Turki and M. Ahmad, 2003. Effect of prenatal cadmium in the cross: Fostered mice offspring. Pak. J. Zool., 35: 319-328. Ajarem, J.S. and M. Ahmad, 2003. Perinatal effects of arsenic on the behavioural teratology of the mice offspring. Ultra Sci., 15: 181-188. Ajarem, J.S. and M. Ahmad, 2003. Effect of temperature on the behavioural activities of male mice. Dirasaat. Pure Sci., 30: 59-65. Ajarem, J.S. and M. Ahmad, 1998. Effects of perinatal exposure of mice to non-alcoholic malt beverage ''beer'' on their offspring. Saudi J. Biol. Sci., 5: 78-92. Ajarem, J.S. and M. Ahmad, 1998. Prenatal nicotine exposure modifies behaviour of mice through early development. Pharmacol. Biochem. Behav., 59: 313-318. Ahmad, M. and W.A. Nizami, 1998. Non-specific hexokinase activity in some helminths. J. Parasitol. Applied Biol., 7: 41-45. Ajarem, J.S. and M. Ahmad, 1997. Effects of garlic extract on Locomotor activity of male mice. J. King Saud Univ. Sci., 9: 155-159. Ajarem, J.S. and M. Ahmad, 1997. Effects of garlic extract on Esterases activity in tissues and serum of male mice. J. King Saud Univ. Sci., 9: 147-154. Ajarem, J.S. and M. Ahmad, 1996. Teratopharmacological and behavioral effects of coffee in mice. Acta Physiol. Pharmacol. Bulg., 22: 51-61. Ajarem, J.S. and M. Ahmad, 1996. Prenatal caffeine exposure modifies developmental reflexes of neonates and anxiety of young adult mice. Sains Malaysiana, 25: 99-109. Ajarem, J.S. and M. Ahmad, 1995. Effects of pipe tobacco extract on locomotor activity and brain acetylcholinesterase level in mice. Arab Gulf J. Scient. Res., 1: 187-198. Ajarem, J.S. and M. Ahmad, 1995. Effects of jurak extract on the Locomotor activity and brain acetylcholinesterase level in mice. Saudi Med. J., 16: 156-160. Ajarem, J.S. and M. Ahmad, 1994. Effects of consumption of Fresh kola-nut extract by female mice on the post-natal development and behaviour of their offspring. J. King Saud Univ. Sci., 6: 41-50. Ajarem, J.S. and M. Ahmad, 1992. Effects of perinatal exposure of cardamom (Elettariacardamomum) on the post-natal development and social behavior of mice offspring. J. King Saud Univ. Sci., 4: 151-162. Ahmad, M. and W.A. Nizami, 1992. In vitro effect of oxyclozanide on the motility of some amphistomes by using isometric transducer. J. Parasitol. Applied Anim. Biol., 1: 131-136. Khan, P., S.M.A. Abidi, W.A. Nizami, M. Irshadullah and M. Ahmad, 1991. Biochemical changes during the development of miracidium of gigantocotyle explanatum. Int. J. Parasitol., 21: 731-734. Ajarem, J.S. and M. Ahmad, 1991. Behavioural and biochemical consequences of perinatal exposure of mice to instant coffee : A correlative evaluation. Pharmacol. Biochem. Behav., 40: 847-852. Ahmad, M. and W.A. Nizami, 1991. In vitro effects of mebendazole on the carbohydrate metabolism on Gigantocotyle explanatum (Trematoda: Digenea). Indian J. Parasitol., 15: 19-26. Khan, P., W.A. Nizami, M. Ahmad and S.M.A. Abidi, 1990. Biochemical variations in Gigantocotyle explanatum and Gastrothylax crumenifer with respect to their seasonal reproduction. Int. J. Parasitol., 20: 109-117. 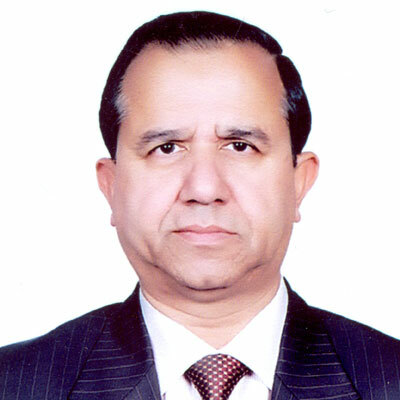 Irshadullah, M., W.A. Nizami and M. Ahmad, 1990. Polymorphism in the microtriches of adult Echinococcus granulosus: Scanning electron microscopy. Zoologischer Anzeiger, 224: 321-327. Ahmad, M. and W.A. Nizami, 1990. In vitro effect of some anthelmintics on the motility of Gigantocotyle explanatum. Japanese J. Parasitol., 39: 529-534. Abidi, S.M., W.A. Nizami, P. Khan, M. Ahmad and M. Irshadullah, 1989. Biochemical characterization of Taenia hydatigena cysticerci from goats and pigs. J. Helminthol., 63: 333-337. Ahmad, M., W.A. Nizami and R.E.B. Hanna, 1988. Topographical studies of two digenetic trematodes of buffalo by scanning electron microscopy. Zoologischer Anzeiger, 220: 59-64. Ahmad, M. and W.A. Nizami, 1988. Influence of various physical factors, pesticides and fertilizers on the egg hatching of Gigantocotyle explanatum. Indian J. Helminthol., 5: 1-8. Abidi, S.M.A., M. Ahmad, W.A. Nizami and R.E.B. Hanna, 1988. Clinostomum complanatum: Tegumental surface changes during in vivo development. Int. J. Parasitol., 18: 433-439. Ahmad, M., W.A. Nizami and R.E.B. Hanna, 1987. Gigantocotyle explanatum: Scanning electron microscopic studies on the topographical effects of certain anthelmintics in vitro. Int. J. Parasitol., 17: 1287-1296. Ahmad, M., A.A. Siddiqui and W.A. Nizami, 1987. In vitro influence of mebendazole on egg production and observations on early development and emergence of the miracidium of Gigantocotyle explanatum. Adv. Biosci., 6: 107-113. Ahmad, M. and W.A. Nizami, 1987. In vitro effect of mebendazole on the carbohydrate metabolism of Avitellina lahorea (Cestoda). J. Helminthol., 61: 247-252. Siddiqui, A.A., M. Ahmad and W.A. Nizami, 1986. Phosphatase system of some common poultry parasites: Ascaridia galli and Cotugnia digonopora. Indian Vet. J., 63: 14-17. Ahmad, M. and W.A. Nizami, 1986. Preliminary in vitro studies on the carbohydrate metabolism of Isoparorchis hypselobagri (Trematoda: Digenea). Acta Parasitol. Polonica, 30: 115-120. Ahmad, M., A.A. Siddiqui and W.A. Nizami, 1984. Changes in the level of phosphatases of Ascaridia galli and Cotugnia digonopora following in vitro action of mebendazole. Indian J. Parasitol., 8: 131-133. Ahmad, M. and W.A. Nizami, 1983. Dimethyl sulfoxide-a safe drug solvent for in vitro screening against cestode parasite. Ann. N. Y. Acad. Sci., 411: 347-351. Ahmad, M. and W.A. Nizami, 1982. Non-specific phosphomonoesterases in Avitellina lahorea (Cestoda). Indian J. Parasitol., 6: 233-234.